Spring Synod met on the 28th April at Bede Academy in Blyth. The theme for the day was Passionate Worship which continues the theme from the work of Robert Schnase on the five practices of fruitful congregations. Synod started with sung worship led by Gavin and Cameron Hulme and Adam Wilkinson and Stephen welcomed everyone to synod. Particulary the local preachers and worship leaders who had been invited from across the district. Thank’s was given to the Rev Rob Hawkins, Gail Stonley and Rev Kathryn Stephens all of whom will be stepping down or moving on from roles within the district. Gratitude was expressed for all their hard work over the years and they were wished well in their future endeavours. Rev Gill Welsh was agreed as the new deputy chair alongside Rev Stuart Earl. Katie Hawkins takes the role of lay stationing representive going forward. Two memorials were agreed during synod. One requesting that the annual collection of statistics for mission be change to a 3 yearly collection. The second was that paper copies of the new ‘Worship: Leading and Preaching’ course be provided to those who request it. Elaine Lindridge shared with us her vision for the district and its circuits and churches. This included Harvest Hand Prayers which you can read about more here. During synod a number of workshops took place exploring various styles of worship. iSingWorship – A valuable collection of worship resources including high quality audio tracks in congregation friendly keys. Cafe Style – Worship often revolves around open discussion, creative expression, multi-sensory and alternative approaches to worship. Core values include hospitality, creativity and discipleship. Chapel in the home – Does worship always have to be in a church buidling? How might our worship be different if we gather in someone’s home rather than in a chaple? If a Chaple closes does it have ro be the end of a worshipping community too? This workshop will offer space to worship together, then think through how worship could move from Chaple tothe home or even start in a home in your context. Northumbira Community – The facilitators will lead from the Celtic Daily Morning Prayer. Followed by discussions and ideas for using Celtic Daily Prayer at home or in gathered worship. In small groups (cell groups) – How do you lead worship in the feloowship group or cell meeting? What resources for worship do we have that don’t always need muscians? 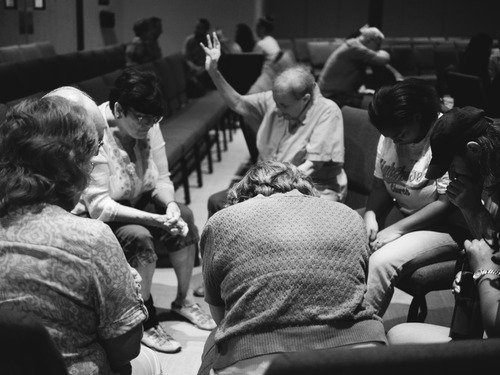 Story/testimony – This workshop will use personal story as a way to encounter God in worship. Resources, activities and suggestions will be offered as to how we can use story and testimony in a varitey of different worship contexts. Godly Play – This is based on approaches, using symbols and objects as well as words. It invites listeners into stories and encourages them to connect with them with personal expereinces. After lunch we heard form our keynote speaker Rev Steve Wild. More can be found here from this talk.